Durante el curso escolar 2015-16 he impartido la materia Citizenship dentro del Programa Plurilingüe de mi centro en 2º de la ESO, trabajando con un total de 45 alumnos distribuidos en dos grupos. Gran parte del trabajo se ha canalizado a través del presente blog. El objetivo ha sido procurar que el alumnado interiorizara los contenidos propuestos en el currículum mediante una metodología centrada en la participación activa del alumnado a través de tareas semanales individuales o de grupo, iniciadas en clase y completadas en casa, en las cuales se fomentaba su competencia en expresión oral, su capacidad de retención e interpretación visual, sus habilidades en expresión corporal, el pensamiento reflexivo, el pensamiento crítico y su disposición para el trabajo colaborativo. Desde un planteamiento bilingüe, en cuanto al uso como lengua vehicular tanto de la lengua materna como del inglés, el alumnado se ha visto involucrado en contextos de trabajo en equipo, en el uso de aplicaciones digitales diversas, en experiencias de evaluación entre pares y en la creación de su propio portfolio como instrumento de evaluación formativa personal. 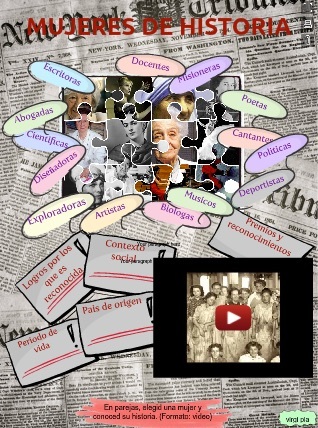 Como portfolio del curso, en formato visual, simplemente con un esquema del contenido trabajado y la metodología seguida, dejo aquí este video Citizenship for 2, en el que intento reflejar que el alumnado ha sido el protagonista de esta bonita experiencia didáctica que he vivido este año. Espero que hayáis aprendido alguna cosa y, sobre todo, que lo hayáis pasado bien aprendiendo. With modern advances in transport, people and products can travel across the world in just a few hours. And in the communication media, we van see live broadcasts and watch the news around the world, as it happens". Let's listen to this video to complete the text and comment the effects of globalization in different aspects of life. Content language: Advantages and disadvantages of globalization in our society: economic, social, political, cultural and environmental effects. Northen vs southern countries. Earth Summits. Listening comprehension activity: Fill in the gaps to complete the transcription of the video. 8- The rights of children. The Geneva Declaration of the Rights of the Child, in 1924. The creation of UNICEF, in 1946. The Declaration of the Rights of the Child, in 1959. The Convention of the Rights of the Child, in 1989. The World Summit for Children, in 1990. Malala Yousafzai is a Pakistani activist for female education and the youngest-ever Nobel Prize laureate. She is known mainly for human rights advocacy for education and for women in her native Swat Valley in the Khyber Pakhtunkhwa province of northwest Pakistan, where the local Taliban had at times banned girls from attending school. Yousafzai's advocacy has since grown into an international movement. 9. If this isn't racism, what is? Content: Discrimination based on racism. to be (more/less) likely to +inf. Culture: Knowing about real cases of discrimination. Comprehension: explain, distinguish, give examples, infer, review, identify. Complete the text by watching the video. We are going to learn what many women did and are doing today to make the world be better. Despite the problems, difficulties and complex situations they had or have to cope with, eventually, they achieved or are achieving their goals and purposes in life. Their efforts have been rewarded with international recognition and now we are going to honor them with our project. Click on the woman's image. In pairs, you have to look for some information about a woman highlighting the most important and outstanding of their life. PDF: page 1: woman's photograph; page 2: composition with the most important information. Content: The role of women in History. 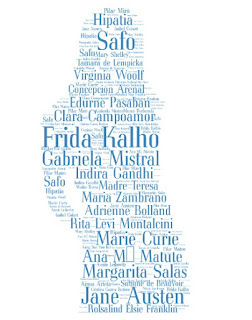 Culture: short biographies of women who has been important in History. Synthesis: plan design, relate, write, summarize. Discrimination refers to unfair or unequal treatment of a person or group of people, based on certain characteristics. It comes in various forms. Intolerance is the refusal to tolerate or respect opinions or beliefs contrary to one's own. It is as well the refusal to tolerate or respect people of a different social group, especially members of a minority group, who are more vulnerable and have fewer resources for confronting this negative attitude. Content: Prejudice and discrimination. Women's rights. Violence against children. Death penalty and the rights of immigrants. the right to + inf. the duty to + inf. to respect the right to + inf. Culture: Knowing about human rights around the world. Comprehension: explain, summarize, distinguish, give examples, infer, review. 6. De Bono's 6 thinking hats theory. Unit 1. YOU AND YOUR ENVIRONMENT. Lesson 3. The school. Friends. Trying to make students think about the thinking process itself, we have carried out a classroom activity by using De Bono's Six thinking hats theory. 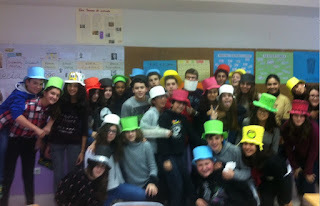 The topic was "How to improve the coexistence in the classroom" and each group has been assigned a question so that the members could answer it adopting the viewpoint of their hat. Group work, empathy, peer learning, collaboration, discussion, responsibility to finished the task on time...The attempt is worth if students can learn in a different way and, why not, if I am able to get a smile out of them.